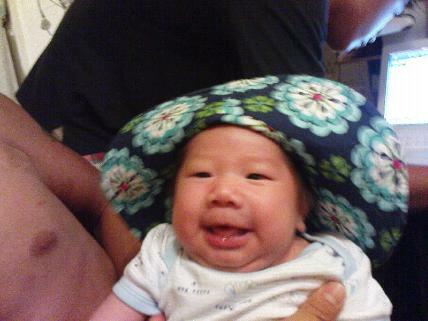 Hello everyone, my name is Kai-Jin and I am 2 months + 6 days old now. 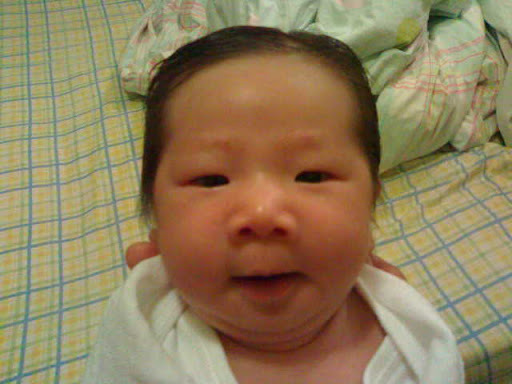 A lot of people said I was born with great hair, something like that famous footballer David Beckham. And like Beckham, I do have my personal hairstylists too to style my hair everyday. Fall/Winter Dandy Look, that is what my jiu-jiu (uncle) calls it though I don't know what Dandy means, I only know Daddy. My mum calls it Ah Mook Look! This is a my Geeky look. I don't like it very much cause it makes me look OLD! Sometimes I would put on my hat to make my look more versatile. Jiu Jiu thinks it doesn't suit me but mum think it's cute. Thanks Aunt Ilsa and Uncle Brian from Amsterdam. It must be a Dutch thing! so cute!!!! i like the beckham one better than the ah pek one. i can imagine how long ur hair will be by the time u've reached 2 yrs old! tht time u will like ur daddy already and ur mama has to spend alot on shampoo! hehehe, he got more look than these. When we go back you will see them all! oh my gawd! i think he looks so much like mummy! I love the hat! 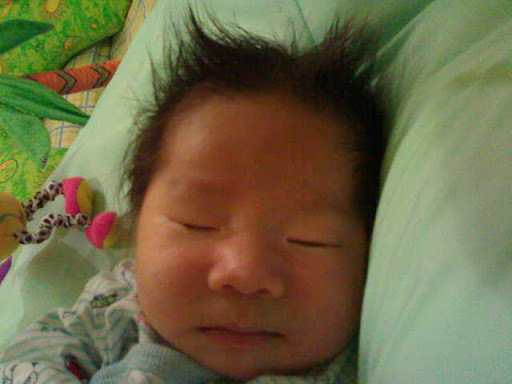 Why do you have so much hair already and I still almost a boldy??? Dont like your geeky look either...Beckham is the way to go.